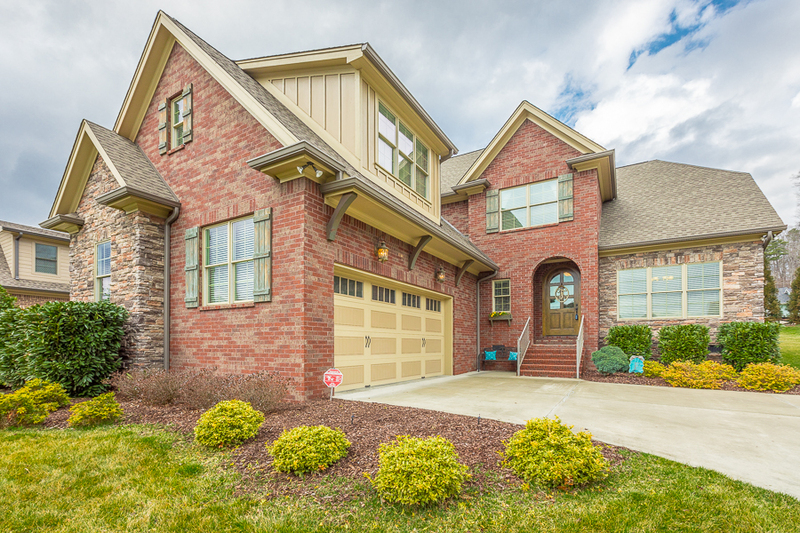 Luxury home for sale in Hixson's Ramsgate Community. www.6417CheswickRdS.com Luxury home for sale in Hixson's Ramsgate Community. 2-story great room, den, 2 main-level master suites, 3-car garage, community pool and more! 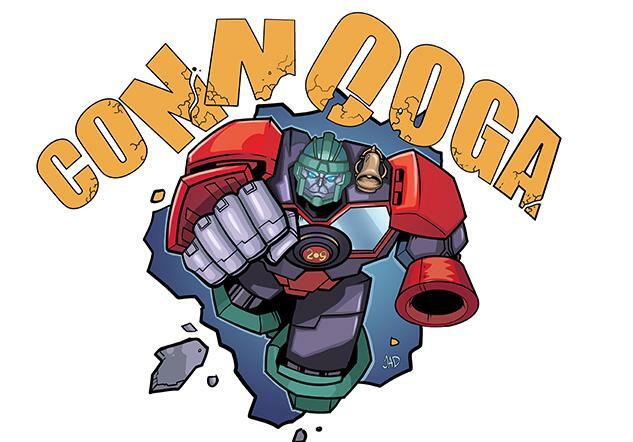 Today through Sunday at the Chattanooga Convention Center. 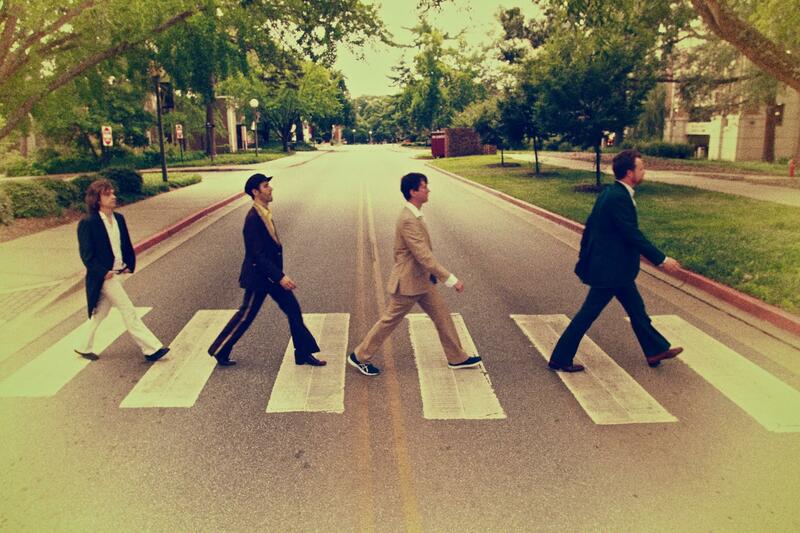 Abbey Road Live - Beatles Tribute. It is the 54th anniversary of the Beatles first performance on Ed Sullivan show! 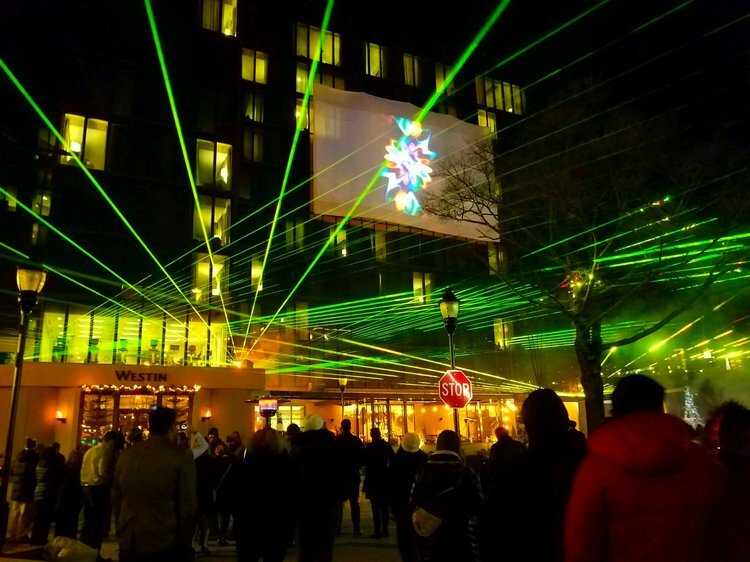 FREE - Saturday from 6PM - 8PM for family friendly activities, food trucks, wine, beer, cocktails and our laser light show! Open House On Sunday, February 25, 2018 From 2-4pm. $189,000. 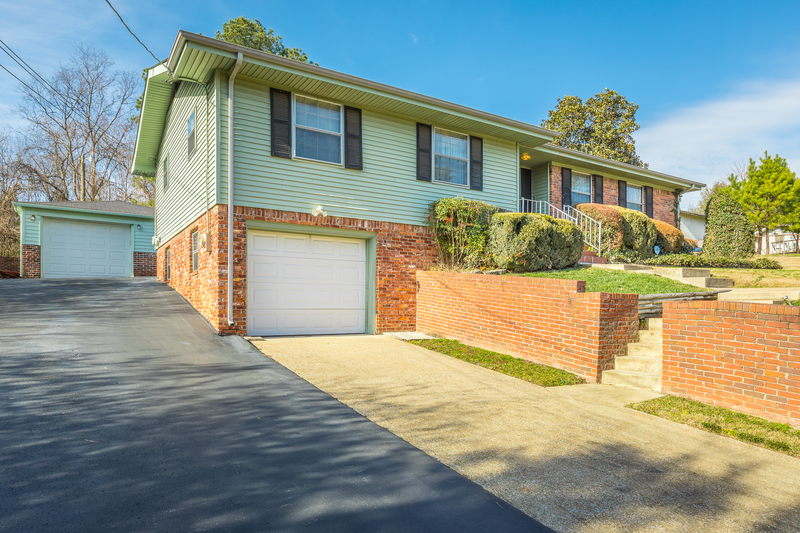 3 Bedroom home with a finished basement for sale in East Brainerd. Large private yard, attached and detached garages, screened porch, patio, den, and more! MLS# 1274802. 1,987 +/- sq.ft of unfinished space in the basement. Community pool and clubhouse. MLS#1275022. Open House Every Saturday from 10-5, Sunday from 1-5, and Monday from 10-5.
bonus room, 2-car garage, covered deck, views of the river, & community pool. MLS#1271202. $479,900. Hixson - The Canyons at Falling Water. 4-5 Bedroom home situated on a level cul-de-sac lot with a fenced backyard. with fireplace, and an oversized (18 X 14’ +/-) concrete screened porch. MLS#1277182. 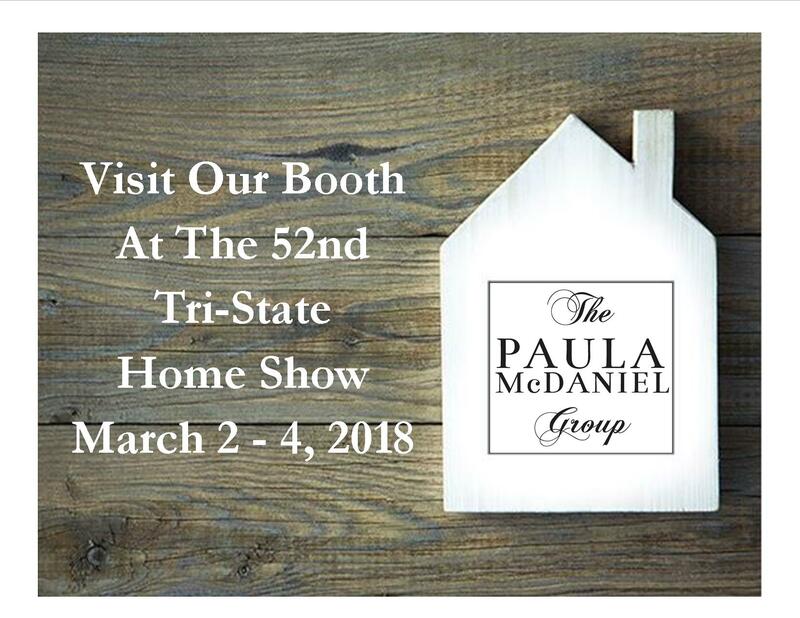 when you visit The Paula McDaniel Group's booth at the Tri-State Home Show. The home show is at the Chattanooga Convention Center and starts on Friday, March 2nd and ends on Sunday, March 4th. New Price! $599,900. Hixson's Ramsgate Community. 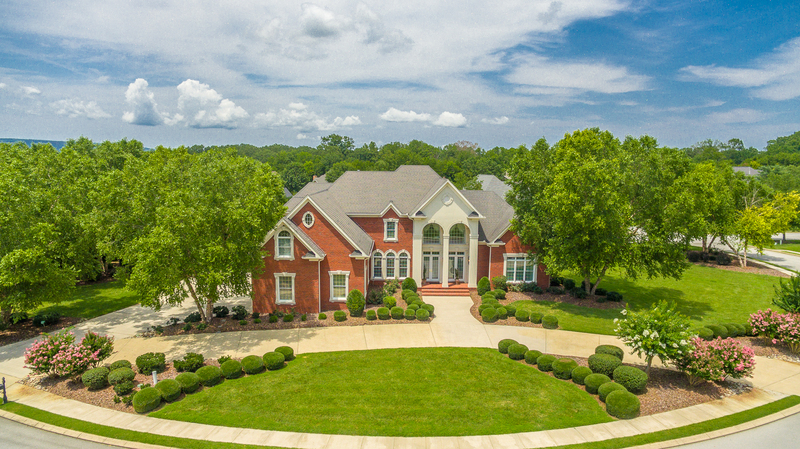 Custom built, all brick, luxury home on almost an acre. New Price! $599,900. www.6417CheswickRdS.com Hixson's Ramsgate Community. 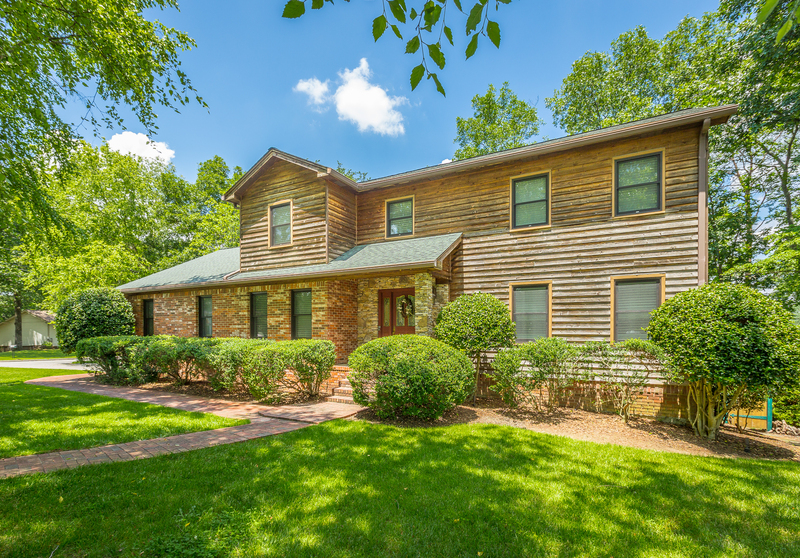 Custom built, all brick home on almost an acre. 5 BR, 4.5 BA, 5,399 +/- sq.ft., 2-story great room, den, 2 main-level master suites, 3-car garage, community pool and more! MLS#1267855. Contact The Paula McDaniel Group at 423-667-2997 to schedule your tour of 6417 Cheswick Road S. today! Paula McDaniel 423-667-2997. ​Real Estate Partners Chattanooga LLC. ​423-362-8333. Equal Housing Opportunity. 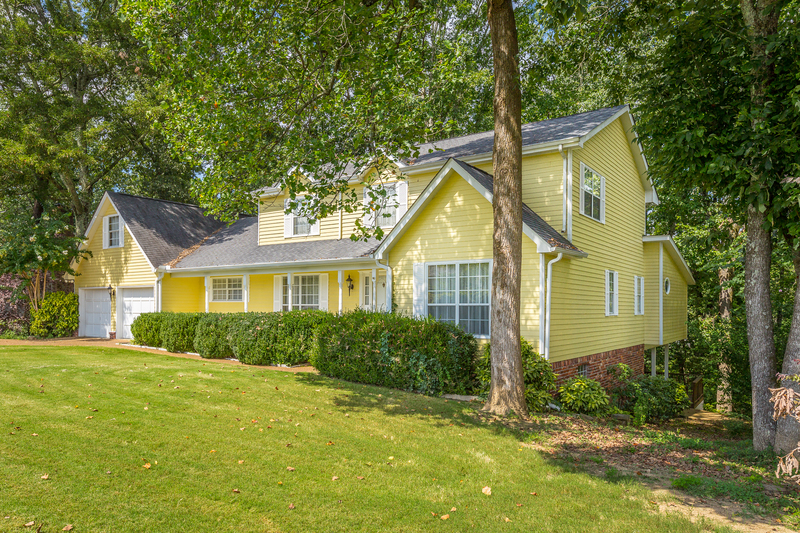 Licensed in TN and GA.
Just Listed In Hixson – Colonial Shores. $315,000. Community pool and tennis courts. 6643 Declaration Drive. Hixson. Colonial Shores. New Price! $369,000. 7 Bedroom home with 5,106 +/- sq.ft, full basement, and community pool. Hixson. New Price! $369,000. 7 Bedroom home with 5,106 +/- sq.ft. full finished basement, rec room with pool table and wet bar, 3 decks, 2-car garage, workshop, community pool, and so much more! MLS#1269180. The Paula McDaniel Group 423-667-2997. Real Estate Partners Chattanooga LLC 423-362-8333. Equal Housing Opportunity. Licensed in TN and GA.
Hixson. Colonial Shores. New Price! $369 000. 7 Bedroom home with 5 106 +/- sq.ft full basement and community pool. New Price! $629,900. Hixson's Ramsgate Community. 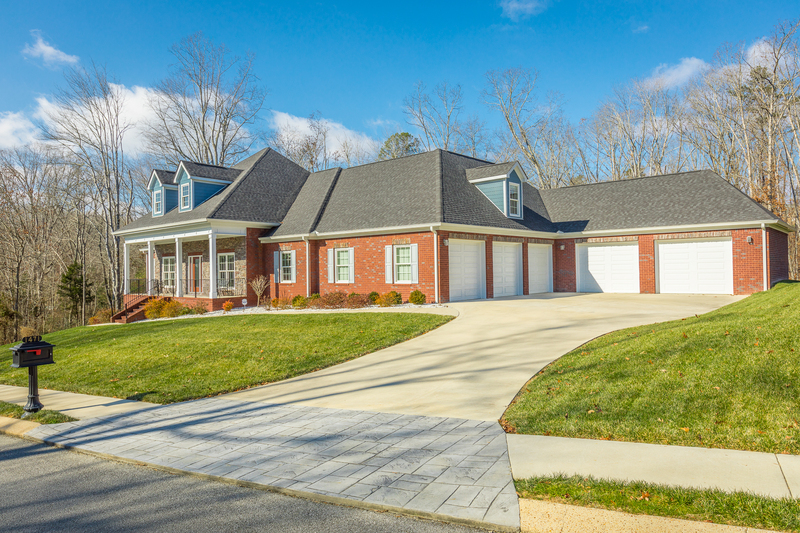 Custom built, all brick, luxury home on almost an acre. Hixson's Ramsgate Community. Custom built, all brick, luxury home on almost an acre. 5 BR, 4.5 BA, 5,399 +/- sq.ft., 2-story great room, den, 2 main-level master suites, 3-car garage, community pool and more! MLS#1267855. $629,900. 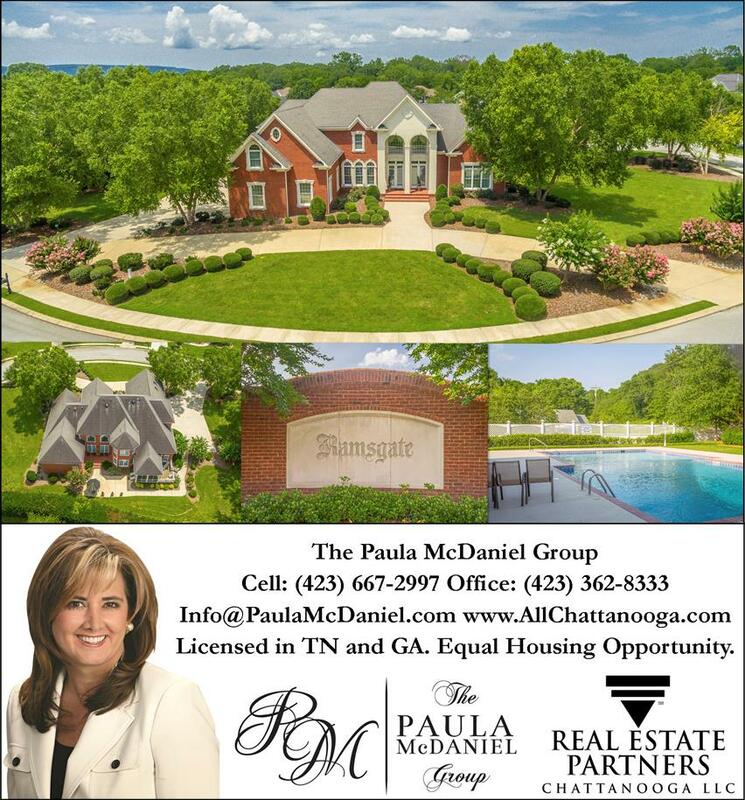 The Paula McDaniel Group Cell: 423-667-2997.​ Real Estate Partners Chattanooga LLC. ​423-362-8333. ​Equal Housing Opportunity. Licensed in TN and GA.
All brick New Price! $629 900. Hixson's Ramsgate Community. Custom luxury home on almost an acre. 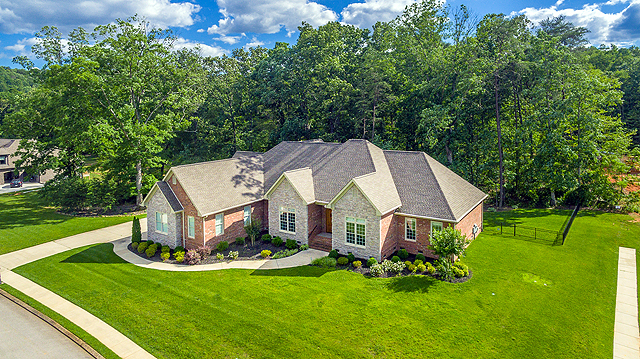 New Listing And Open House In Hixson, TN. $399,000. 7 BR, 5,106 +/- Sq.Ft., Community Pool, And More! OPEN HOUSE ON SUNDAY, September 10, 2017 FROM 2-4PM. Space, Space, and more space is what this amazing home has to offer! 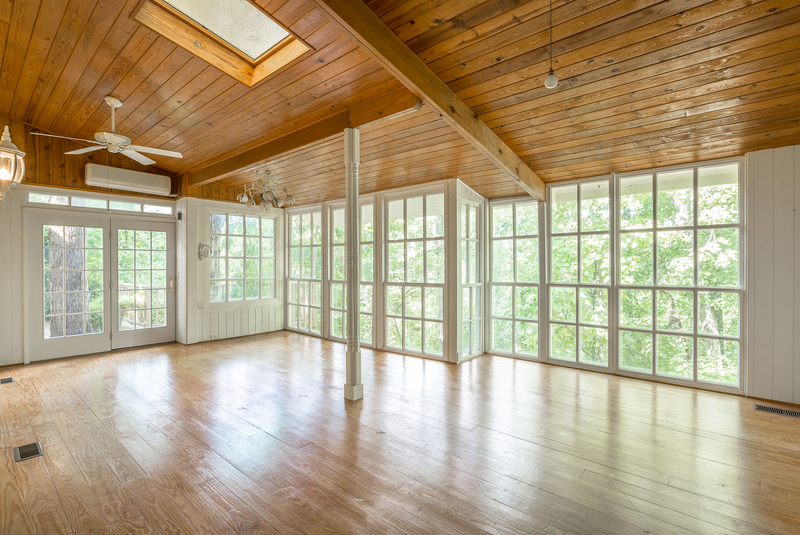 This home truly has it all from spacious rooms, storage space, and multiple gathering areas. The main-level boasts a formal living room and formal dining room with dental crown molding, a cozy den with exposed beams and wood burning fireplace, a sun room with vaulted ceilings, skylight, and wood floors and ceilings. 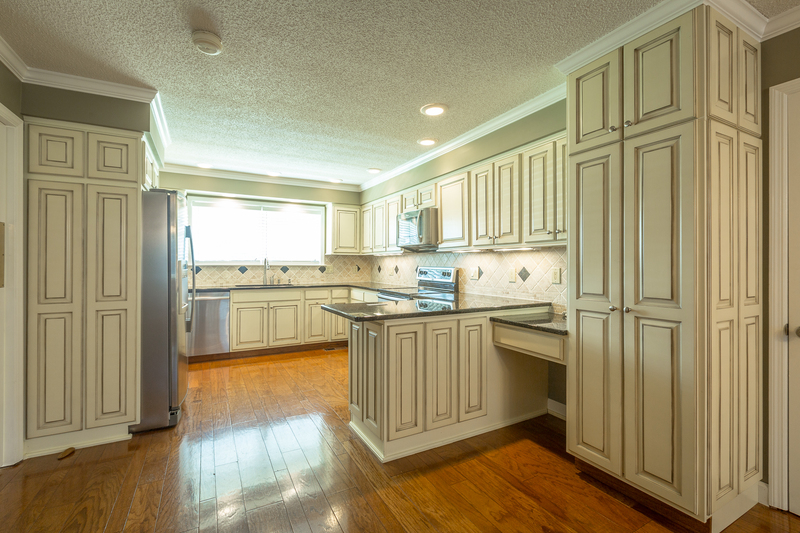 The eat-in kitchen was remodeled within the last five years with new cabinets, granite counter tops, stainless appliances, and tile back splash. The breakfast nook area features an exposed brick wall that adds character to the kitchen. The main-level master bathroom and en-suite is a treat with two sinks, a vanity area, jetted tub, separate shower, heated tile floors, water closet, and walk-in closet! Finishing up the main-level is a full bath, and laundry room. Off the kitchen is a staircase that leads to a 349 +/- sq.ft. bonus room with walk out attic storage! Upstairs is a second master bedroom with two walk-in closets and en-suite. 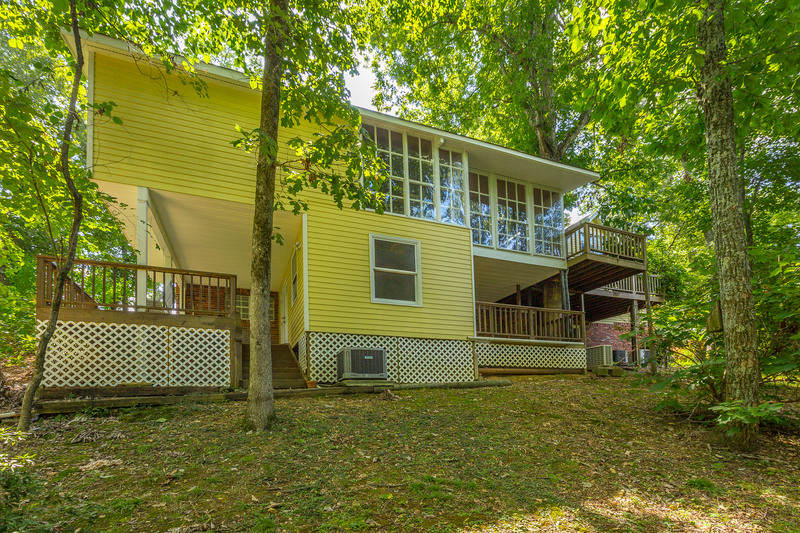 There are three additional bedrooms upstairs as well as another full bathroom with two sinks and tub/shower combo. The basement is perfect for entertaining! The oversized den has a wood burning fireplace, pool table, wet bar with sink, and sliding doors leading to the patio. There are two bedrooms and a full bathroom in the basement. 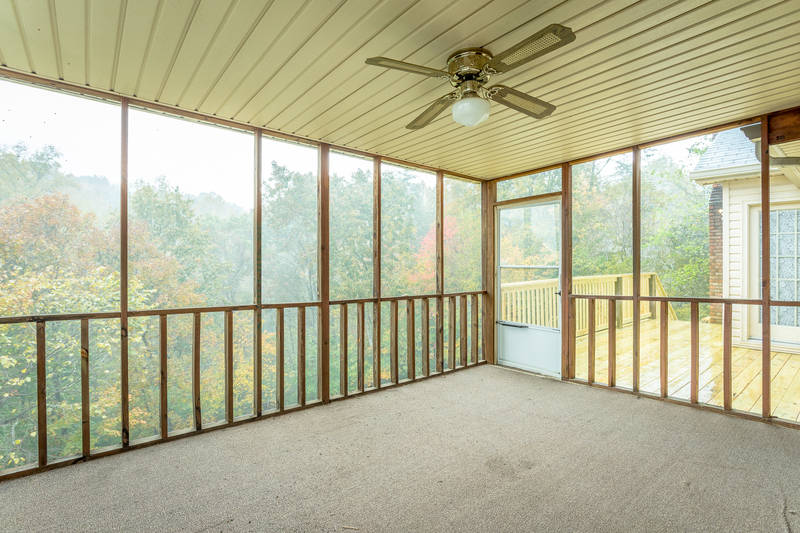 As if all this indoor space wasn't enough, there is a large workshop that the handy man will love, and a back deck perfect for taking in the view of the private back yard. Colonial Shores has a community pool and tennis courts that you can join as well. If you are searching for a home for sale in Hixson, then be sure to Call The Paula McDaniel Group at 423-667-2997 or at Real Estate Partners Chattanooga LLC at 423-362-8333 to schedule your tour of 1643 Colonial Shores Drive today! Buyer is responsible to do their due diligence to verify that all information is correct, accurate and for obtaining any and all restrictions for the property. Equal Housing Opportunity. 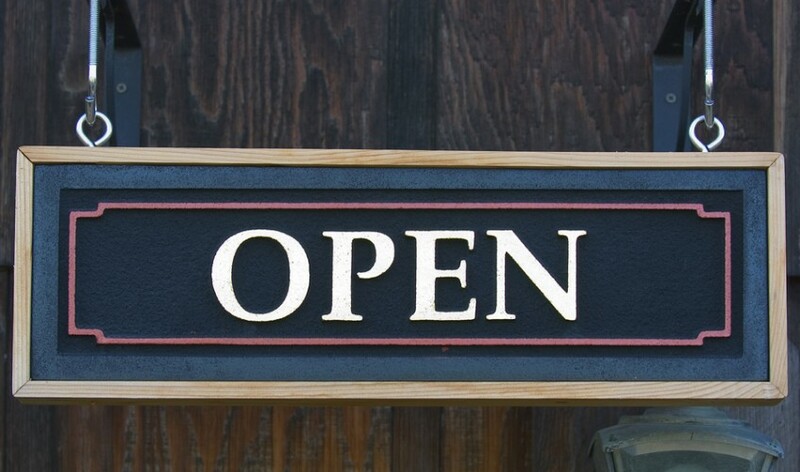 Licensed in TN and GA.
Community Open House on 7/15/17 from 11-3 And 7/16/17 from 12-4. Open House on 7/16/17 from 2-4pm.